Since its founding in 1966, Bellevue University has established itself as one of the worldwide leaders in adult education, serving more than 11,000 students annually at 12 locations in five states. As one of Nebraska’s fastest growing institutes of learning, Bellevue University needed to expand its main campus. 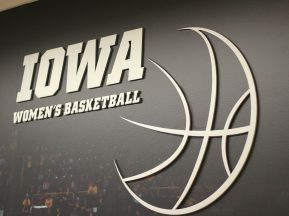 As a result of the expansion, the wayfinding plan and exterior signage program needed to be updated to ensure employees, students and service staff could properly navigate through the newly expanded campus. 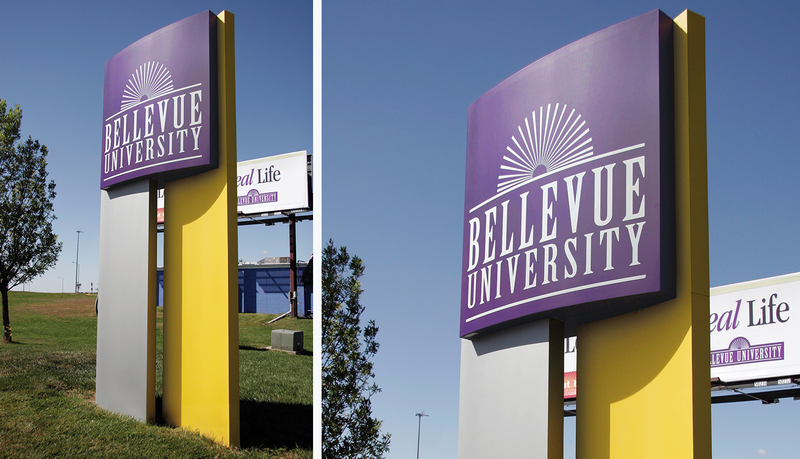 Working with the Bellevue University, ASI developed a campus-wide signage program that allows for ease of direction, and flow of traffic for vehicle and pedestrians, and a prominent display of the college’s brand. 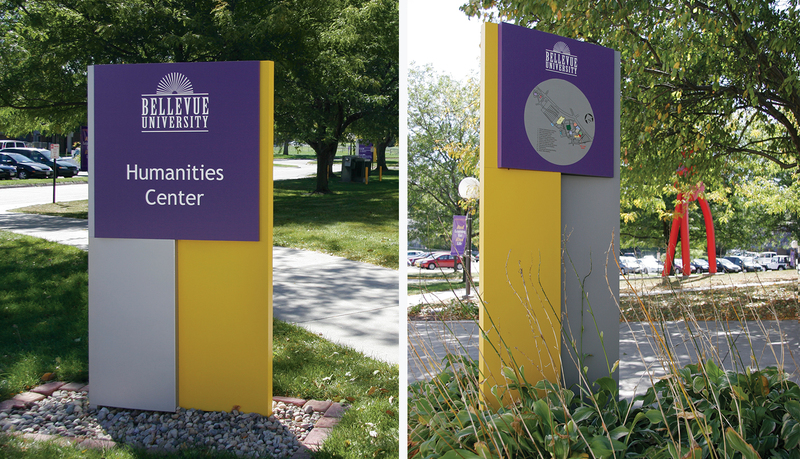 After consulting with the Bellevue University facility management and surveying the campus, ASI proposed an updated exterior wayfinding plan, which utilizes custom aluminum signage. 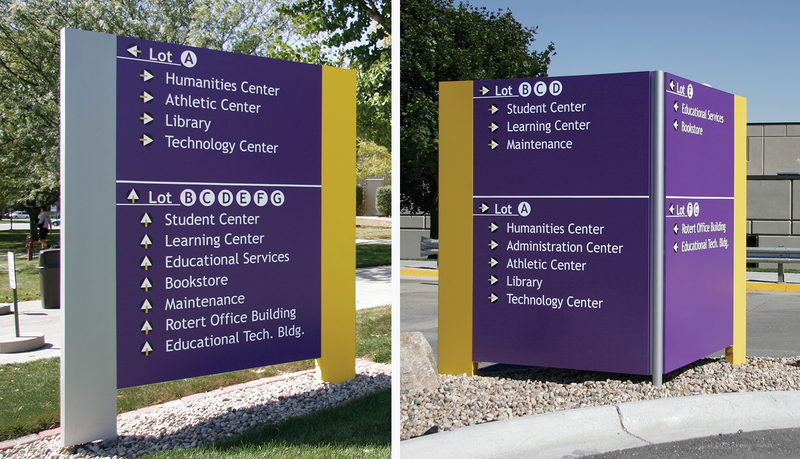 Each exterior sign incorporates the university’s brand identity through a purple and gold color scheme. 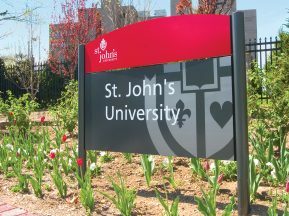 The complete custom exterior solution includes a main entrance pylon sign, post and panel directional signs, information monoliths with color-coded campus map graphics, building identity monuments, and parking identification signage. 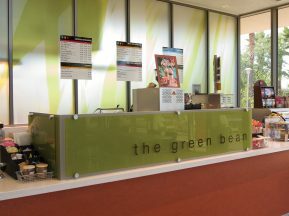 A key factor for this project was a wayfinding identification solution that addressed the complex navigation challenges throughout the campus. In several instances, vehicular access to campus facilities requires driving through parking lots; therefore, ASI developed a letter identification wayfinding system to help guide people to the right building parking area. This easy to understand system helped communicate the link between a campus building and the closest parking lots. In addition, after exiting the vehicle, pedestrians are able to follow the same wayfinding signage identification system to their final building destination. 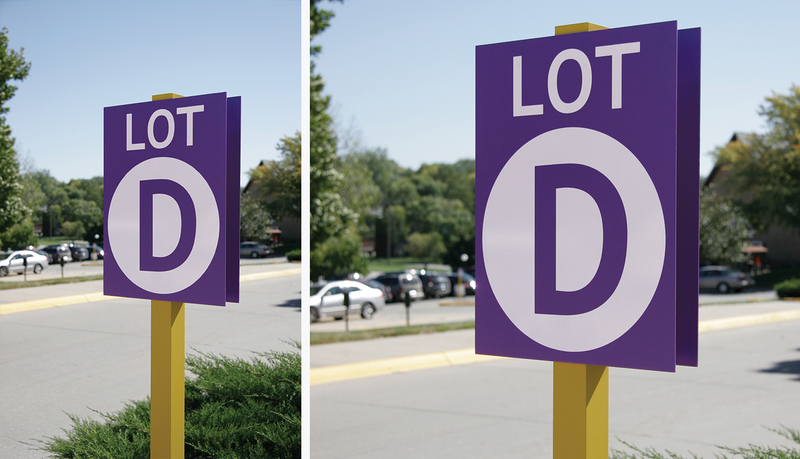 The letter identification systems also makes it much easier for students, visitors and staff to remember where they parked last after spending a day roaming the campus. 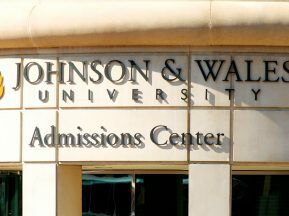 The complete solution successfully merges brand identity, pedestrian and vehicular wayfinding and architectural features of the campus, which allows the educational and administrative staff to focus on education and leave the requests for directions behind.